That’s right. 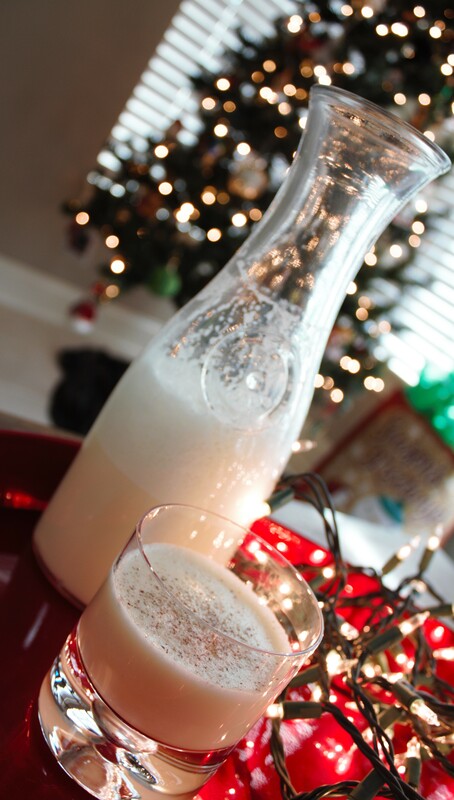 Homemade eggnog. With the RAW EGGS! Why? Because I’m dangerous and adventurous, that’s why. Ok, why really? 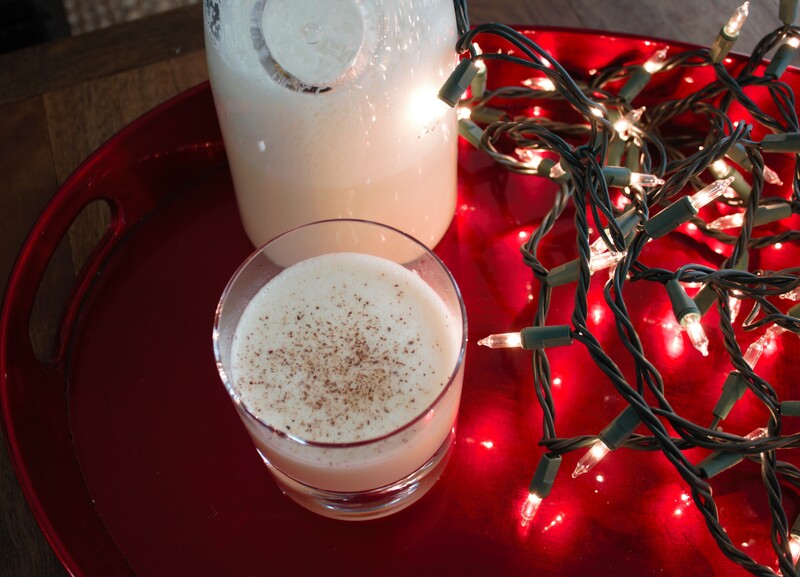 Because I’m afraid of the weird ingredients in the store-bought eggnog substitutes. Well, either way I was taking a risk right? I like to think I’m quite brave. 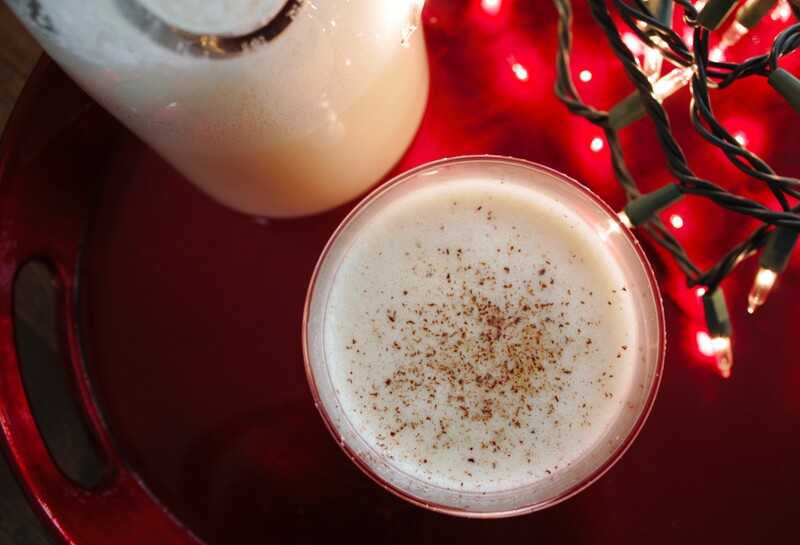 I could have forgone eggnog altogether this holiday season, but no way, not me! I’m too bold and courageous to be so easily dissuaded. The main reason I wanted to take on an eggnog challenge this year was because I found a recipe (in Food Network Magazine, as I often do) for a granola with eggnog yogurt (which you can see here), and I really wanted to try it. (Granola was quite good, by the by.) I went to the store to gather ingredients, and I couldn’t even find a product labeled “eggnog” – I could only find things called “eggnog flavored beverage,” and let’s be serious – that sounds weird and gross. Ok, I was in a bit of hurry, and I’m sure I could have found the real thing if I’d put the time in, but it wasn’t gonna happen, so making it from scratch was the next best answer. I found the recipe that I used at The Kitchn, here. 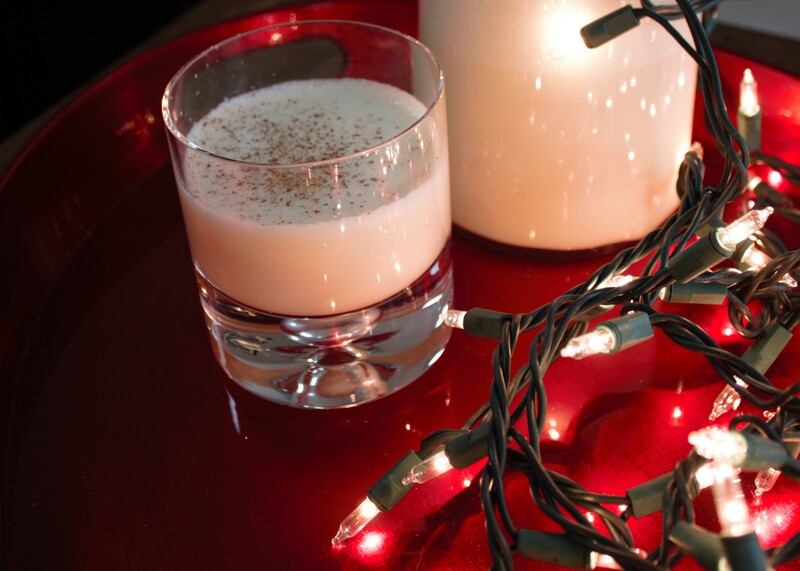 Although they offered an option for a “cooked” eggnog, the recipe author was so encouraging about trying the raw version and about the preservative benefits of all that liquor, that I decided to give it a go. 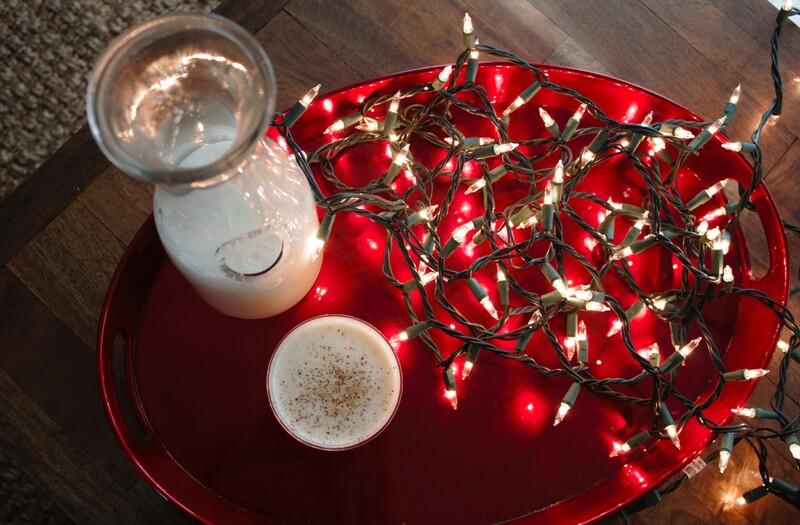 I only made a half batch which was more than enough for our taste test and to make the eggnog yogurt. I chose rum as our liquor of choice, and I decided that I quite liked it! I first tried this two days ago, and remarkably I’ve experienced no untoward effects yet!! I haven’t even puked! Looks like I’ve outsmarted and outmaneuvered food-borne illness yet again! Raw eggs, you don’t scare me. Next year, maybe I’ll leave some out for Santa. You are bad to the bone. Raw eggs, whoa! I know – look out for me! It was quite a year for the both of us then…though my mom makes homemade eggnog every year, it took me 30 years to have my first glass. And like you, I seem to have narrowly escaped Salmonella poisoning…until perhaps next year. Hahaha, wow we are daredevils!! I can’t imagine what changed for you after all these years, but I commend your bravery!